In 1979, nationally-recognized teacher Georgia Bonesteel of Flat Rock, NC, and Ruth Farrar, Landrum Librarian, introduced a group of interested women to the world of quilting during classes taught at the old Landrum Library. 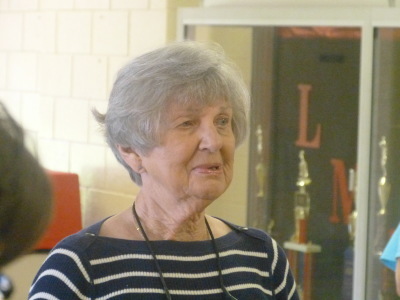 They met regularly to learn from Georgia, and, in November 1980, under the guildance of Helen Edwards and Lillian Jenkins, they formed the Landrum Library Quilt Club. 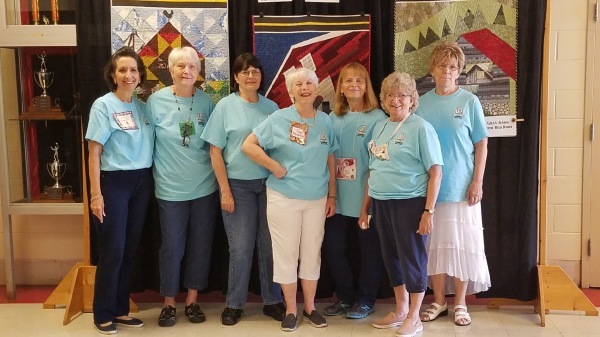 Now known as the Landrum Quilters, the group has grown to more than 100 members who share the common love of creativity through quilting and fabric art. Spreading their love of quilting over the years, members created the South Carolina State Quilt which hangs in the State House in Columbia, made and shipped quilted to wounded veterans at Walter Reed Hospital, and constructed wedding ring quilt and a cow quilt which are shown in Georgia Bonesteel's books. Club members continue to work with staff and students on quilt-related projects at the Landrum area schools and Landrum Library and to promote the heritage of quilting on National Quilting Day each March and at other special activities in the community. Monthly programs and periodic workshops offer members a variety of educational experiences and opportunities to form lasting friendships. A highlight of each meeting is the show and tell segment in which members share their latest creative projects.